Ted J. Townsend is my name, and I'm here to play the game! Anyway, I love playing games and discussing the best gaming equipment on this site. Scroll down a bit and you'll see several articles written by me. See? I've told you that you won't have to scroll down that much! What is the most powerful gaming console? If you answered "PC", you've got the right answer. To begin with, a PC can be easily upgraded as new CPUs and video cards are being released. Then, you can add to it as much storage space and memory as needed. Finally, most titles that are released on the top consoles make their way onto PCs as well – even though sometimes they may be delayed a bit. Gaming laptops are ugly and bulky, though. Or, at least, that's how they looked like before Asus ROG Zephyrus GX501. On a side note, I have a deep respect for Asus, a company that somehow manages to produce ultra high-quality devices at affordable prices. Their newest laptop is, hands down, the best portable gaming laptop in the world. It seems that it's all possible due to Nvidia Max-Q's technology, but all these technological advances come with a high price tag. A high end, slightly underpowered video card can be crammed into a tiny, slim notebook case, but as you can imagine, this costs money. A hefty amount of money! The other hardware components are top notch as well. We are talking about the latest Core i7 CPU running at 2.8 GHz, coupled with the already mentioned, very powerful Nvidia GTX 1080. The O.S. flies due to the 16 GB of RAM, and the screen resolution (1920x1080 pixels) is just right for the great looking 15" display, which is able to reproduce a large array of vibrant colors. With all these amazing specs, you'd be forgiven for not remembering that this is a highly portable machine, weighing a few ounces under five pounds. And at 0.7 inches, its thickness (or, should I say, its slimness) is stellar – this notebook is even slimmer than Dell's XPS 15 laptop! Standard Nvidia GTX 1080 video cards are able to deliver 150W of graphics power, but with the Max-Q technology, which is used in ROG Zephyrus GX501, the clock speed is variable, making the card deliver around 100W of graphics power. Under these circumstances, you'd expect Asus' video card to perform worse than its direct competitors but, for some strange reason, this isn't actually happening! The cooling system comes from the future as well. You can barely hear the fans at maximum load, and when you are doing non-gaming activities (web browsing, and so on) the laptop is silent. As in "you can't hear it". Really! The speakers are fantastic, delivering a punchy sound. They don't sound like a Bose Corporation system, of course, but for a laptop this thin, Asus' engineers have done an amazing job. 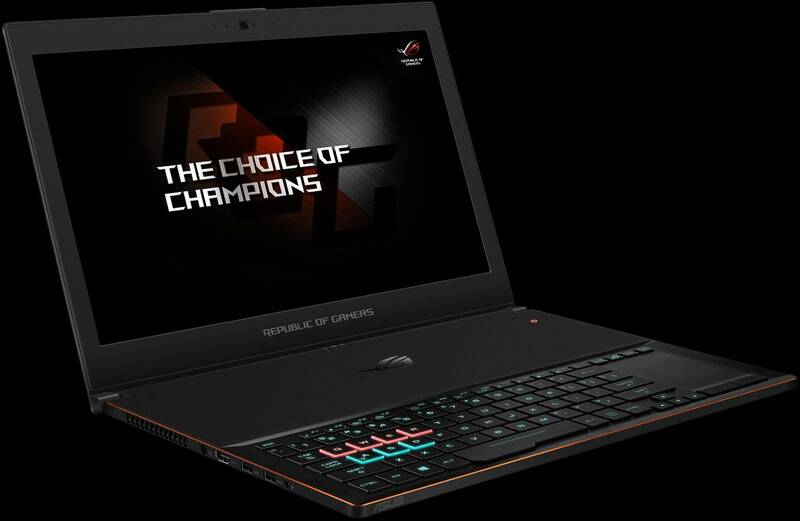 The only negative aspect I'm seeing with Asus ROG Zephyrus is its short battery life. You'll only be able to play a game for about 1.5...2 hours, before starting to run towards the power outlet. Gaming laptops aren't made for gaming on the go, though, and with so much computing power that's tightly packed inside its small body, GX501 simply didn't have room for a larger battery. This may be a deal breaker for some of you, but it won't prevent serious gamers from purchasing this laptop, which can easily fit in a tiny backpack, and packs a huge gaming power. Sony launched not one, but two gaming consoles in 2016. You were probably expecting at least one of them to be a PS5, but it didn't happen. Actually, it looks like it won't happen until 2019 or so. 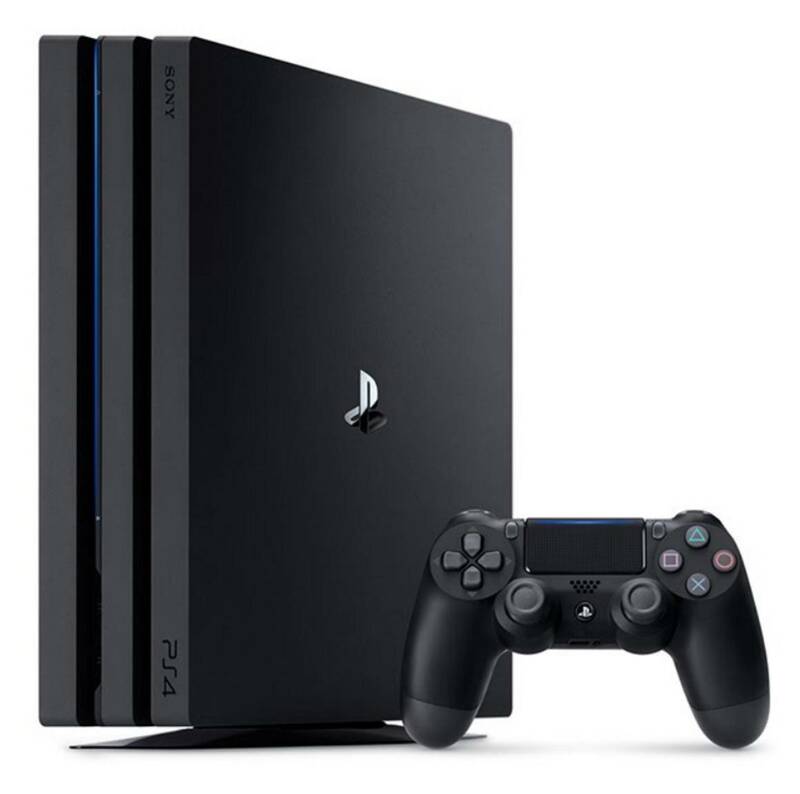 According to Sony, they need to sell more PS4 consoles before releasing the PS5, because they invest a lot of money into R&D. That's good news for me, because it means that I won't have to add the fourth console to my arsenal (Wii, Wii U, PS4 Pro) anytime soon. It's surprising that Sony chose to launch PS4 Slim alongside PS4 Pro, though. Why did they do that, and how do these two gaming consoles compare? Let's find out! In a nutshell, PS4 Pro's unique features are 4K video output and HDR (High Dynamic Range) effects. This means that, to get the most out of it, you'll need a 4K TV that supports HDR. PS4 Slim has the same specifications with the original PS4. The smaller form factor makes PS4 Slim attractive for people who don't have too much room for yet another console. However, as bulky as it may be, PS4 Pro packs an impressive computing power. To begin with, the CPU is 228% faster than the one that can be found in the original PS4. The 3D graphics power has been increased to 200% as well. If you compare PS4 with PS4 Slim, you will see that they've got a very similar set of features. There are a few minor differences, though. 1. The supported Wi-Fi standards: 2.4 GHz for PS4, and 2.4 GHz & 5 GHz for PS4 slim. Before jumping with joy, you should understand that the 5 GHz band is useless if the console is 20 feet or more away from the router. The 2.4 GHz band is much better, and its range can be significantly extended by replacing the internal Wi-Fi antenna with one that has a higher gain. An extension cable is needed, of course. And here's a guide that shows how to replace the antenna. Don't try this if you aren't into electronics, though. 2. The second difference has to do with the supported Bluetooth standards: 2.1 for PS4 and the much faster Bluetooth 4.0 for PS4 slim. It's a nice feature if you plan to use a Bluetooth keyboard with the console, for example. It will successfully register your key strokes even if you move to an adjacent room. But that's pretty much it! Frankly, I can't find too many reasons why you should update from PS4 to PS4 Slim. But what about a PS4 -> PS4 Pro upgrade? If you've got a 4K TV, you owe it to yourself to purchase the Pro version of the console. The number of pixels has significantly increased, and this means that you'll be able to see many more details and special effects in games. All the new games will be able to utilize the improved GPU to its full potential, rendering higher quality textures and adding realistic lighting to the scenes. In addition to this, the faster GPU will also lead to higher frame rates, making it much easier for our tired eyes. Sony has promised that any PS4 game will run on PS4 Pro and vice versa. Yes, some PS4 Pro games will be unable to run at a full 4K resolution (3,840x2,160 pixels) but they will use an upscaling technology that delivers great results. Most people aren't able to tell the difference between a native 4K game demo and an upscaled demo anyway. So, should you buy the bulkier PS4 Pro, even if you don't have a 4K TV? If you don't have a PS4 console, the answer is a sound "YES!". PS5 is several few years away, and it'd be a pity to be unable to play all the great PS4 titles that are currently under development. If you already own a PS4, my recommendation is to keep your money. PS4 Pro may deliver better graphics, but if you don't have a 4K TV you won't see too many differences in games. Of course, things change if you've got that TV. PS4 Pro coupled with a 4K HDR television set is guaranteed to provide an extraordinary gaming experience. Do you know that warm feeling inside that activates whenever you play a Mario game? It's similar with that vanilla aroma that was filling the entire house the second your mom opened the oven, and your favorite cookies were done and ready to eat. I'm telling you, these Mario games have something special! And if you've never played one, I feel sorry for you. Yes, you may have played all those high-tech PS4 shooters, but Nintendo's games are simply fun to play. It may be the music, which evokes childhood memories, because the script used for all the Mario titles hasn't changed too much within the last few years. Or maybe it's just the lovable main character, which seems a bit clumsy, but somehow manages to save Princess Peach each and every time. 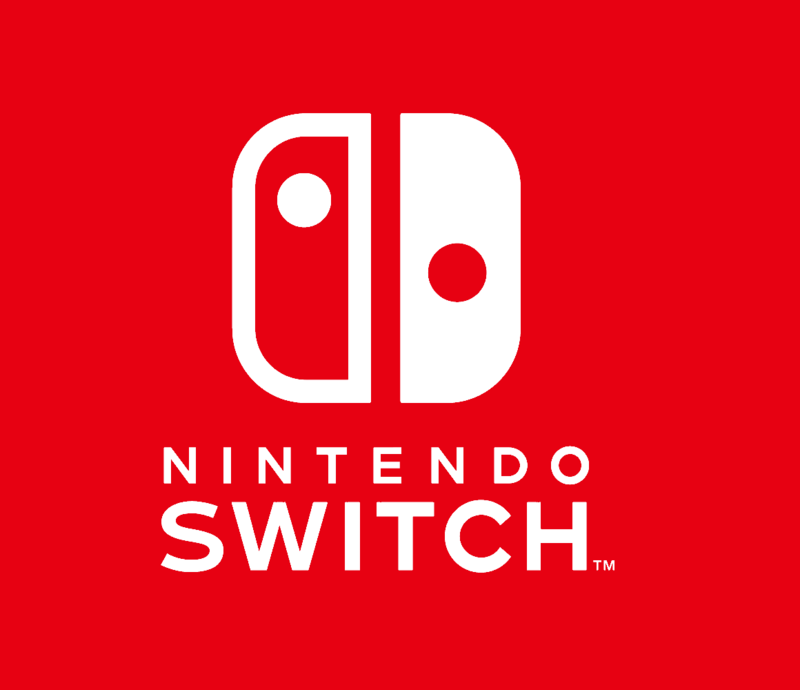 And now, Nintendo is launching a new console. I've got mixed feelings about it, though. Why did they choose to replace Wii U with something similar, when the old console has a similar CPU power? Let's see what are the main advantages and disadvantages of the Switch. Pro 1: The first positive aspect is portability. Yes, this feature works just as advertised. Within seconds, the Switch can turn into a portable gaming console that's got a 6.2-inch screen. And the 720p screen resolution isn't too shabby either! Con 1: The first negative aspect is... portability! Who needs a giant gaming console when most smartphones have displays of 5 inches, and some of them even rival the Switch? Because the main problem of this portable gaming console, my friend, is battery life. Nintendo Switch can only run for 3 to 4 hours, and then it is dead. You can get more juice from your phone, and it's got a battery that's half the size of the Switch's battery. So if you are true gamer, you will drain the battery quite fast. Pro 2: Games load quite fast. I mean, really fast! It's the direct consequence of using cartridges, instead of going the standard, DVD-based route. I can still remember some Wii U titles that needed 1-2 minutes to load, and the PS4 or Xbox One weren't doing much better either. Only time will tell if digital downloads will run as fast as the cartridges do. Con 2: The controllers don't look like they mean business. I mean, Nintendo knows a thing or two about gaming controllers, but these Joy-Cons are a bit too tiny for my big hands. It's true that the Nintendo Switch Pro controller fixes the problem, but it costs more than a PS4 controller. That's not nice! Pro 3: Nintendo Switch is a compact gaming console. Actually, I'm quite surprised to see how neatly they've packed things in. PS4 Pro is gigantic, in my humble opinion. It's true that Sony has also released the slim version of its console, but this is actually a way of recognizing that their old PS4 was quite big. This doesn't happen with Nintendo. No, sir! The console has a very small footprint. Thumbs up for Nintendo on this one! Con 3: Yeah, it's a very portable console, but this happens because its computing power and storage space are tiny. Come on, Nintendo, all you could do is to fit your newest gaming console, which was launched in 2017, with a single storage chip of 32 GB? Come on! If a game has an approximate size of (let's say) 5 GB, you can't store more than 6-7 games in the internal memory! I guess that Nintendo's solution to this problem is simple: don't allow people to purchase large games in its store! So, it looks like all we're left with is the ability of purchasing retro games online. As you can tell, I've got mixed feelings about this console. I hope that it'll get many more great titles than its predecessor, which (btw) isn't manufactured anymore. This is that place where I'm supposed to tell you to stalk me on social media. But the truth is that I don't have time to play with all these social media channels. I'd rather spend that time playing games! Copyright (c) Ted Townsend. All rights reserved.